This desk chair is one of the first things I took to Midwest Memories several months ago when I first started putting things in the shop there. I was never completely happy with the way this piece turned out and when it hadn’t sold after several months I brought it back home. A new makeover was needed. 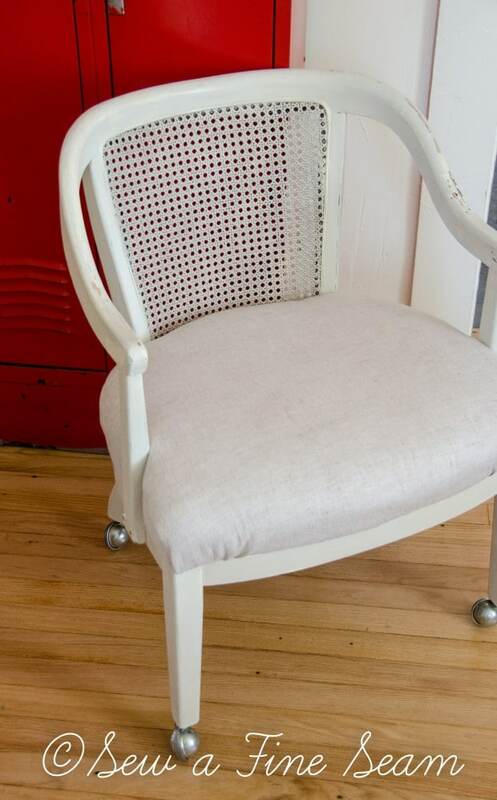 A makeover that included Milk Paint. Here is the original seat. I made the white ruffly cover to throw over it but was never thrilled with the result. The seat was just so – – flat. 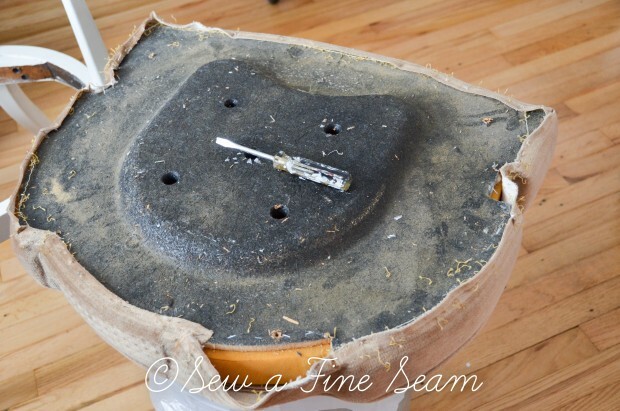 The piping pulled right off and any staples that didn’t come with the piping were easy to pull with pliers. 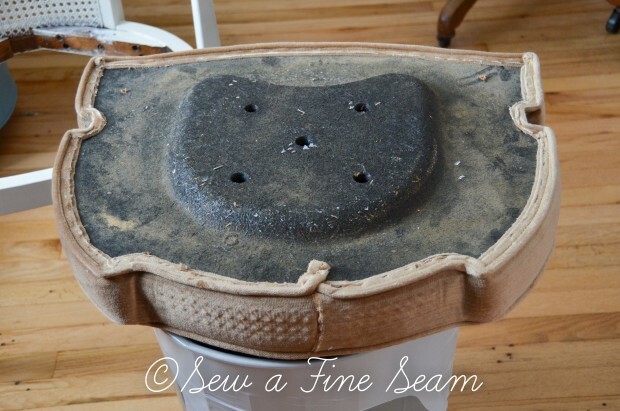 This can’t be said for every piece of furniture deconstruct when reupholstering. Usually getting the staples out is the hardest part. Staples and ugly brown fabric gone, I was left with a piece of foam that was still perfectly usable. 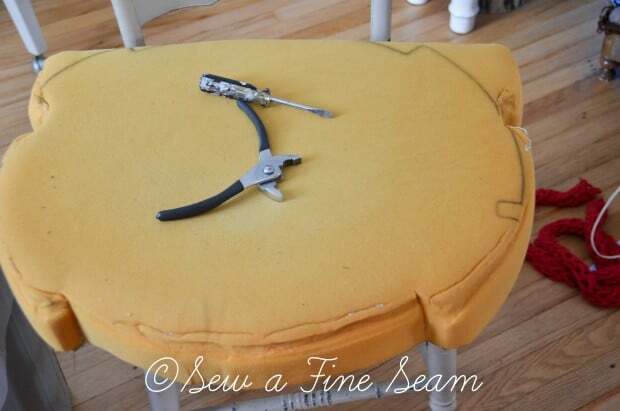 I didn’t get pics of the next step with the seat but I simply layered some quilt batting on top – several layers thick and covered it with a lovely, oatmeal colored linen fabric, stapling it to the bottom of the seat. 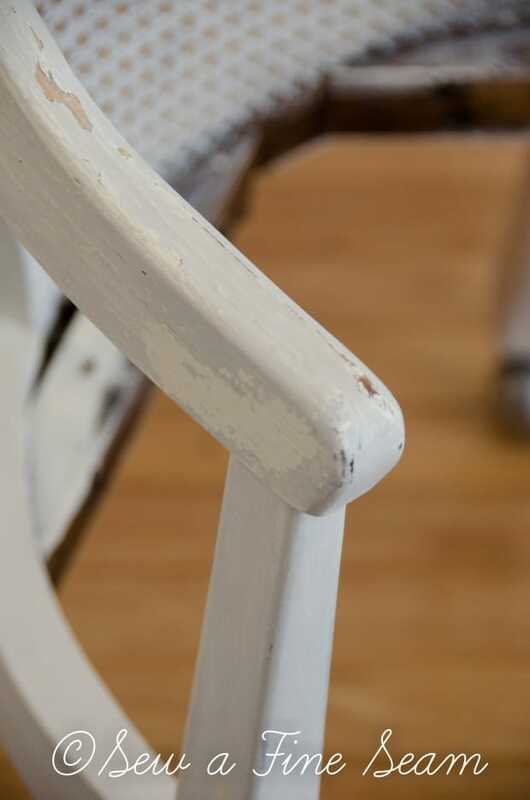 To give the wood part of the chair some more character I painted over the Old White AS chalk paint with MMSMP. Honestly I can’t remember if I used Shutter Grey or Grain Sack – looking at the pics it could be either one. I had waxed the chair the first time around with AS clear wax. 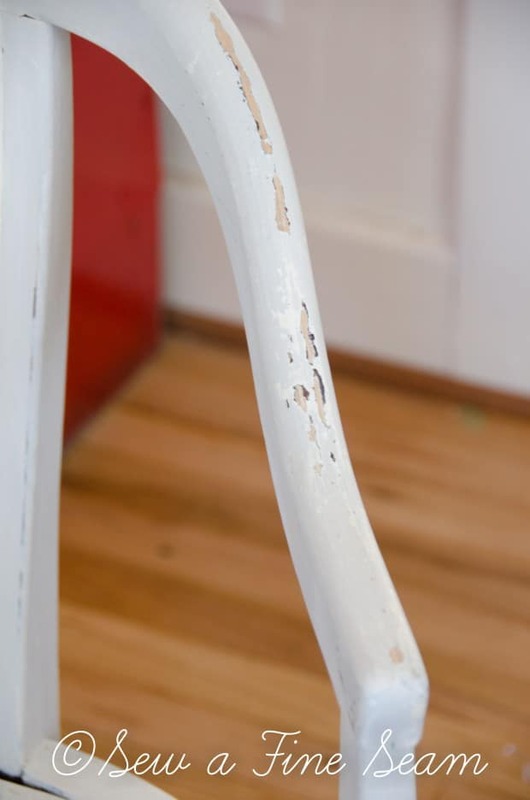 So I was pretty sure using milk paint without the bonding agent would produce some cracking and chipping. Which was just fine with me – I was all about adding some character to this piece. Chipping I did indeed get! 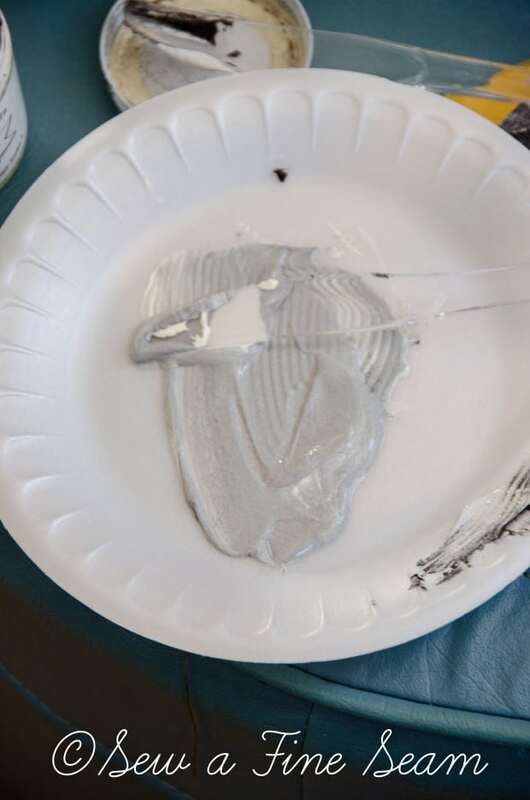 The paint flaked off beautifully, creating that character I was wanting. It even caused some of the areas to chick all the way to the original finish and even through that finish to the raw wood. I was very happy with the layered look I ended up with too. For the caned back of the chair I felt like it needed something a bit more too. 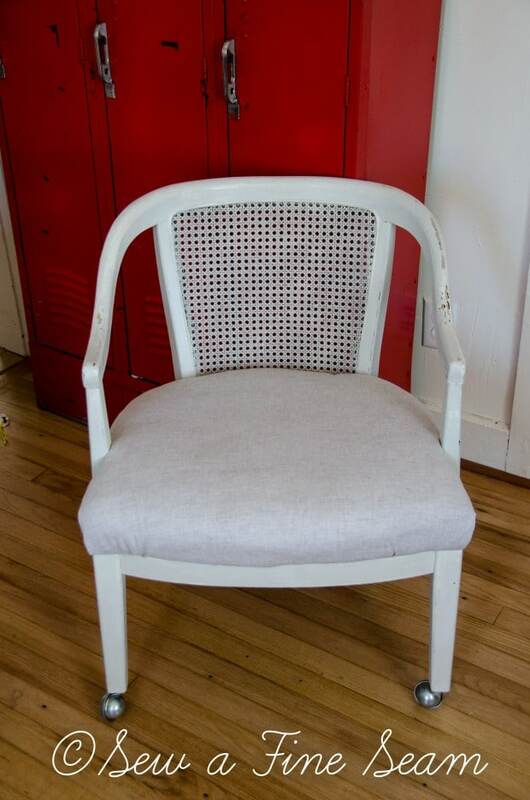 I considered painting it a totally different color than the rest of the chair, adding a stencil, or a stripe. 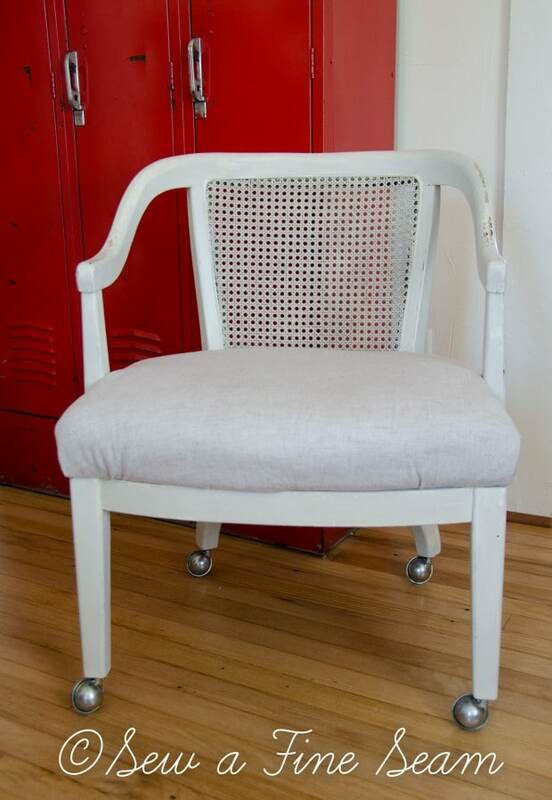 In the end I was running out of time for the next event I wanted to take it to so I grabbed MMSMP antiquing wax and white wax, mixed them together to form a lovely grey and used that on the caned back of the chair. 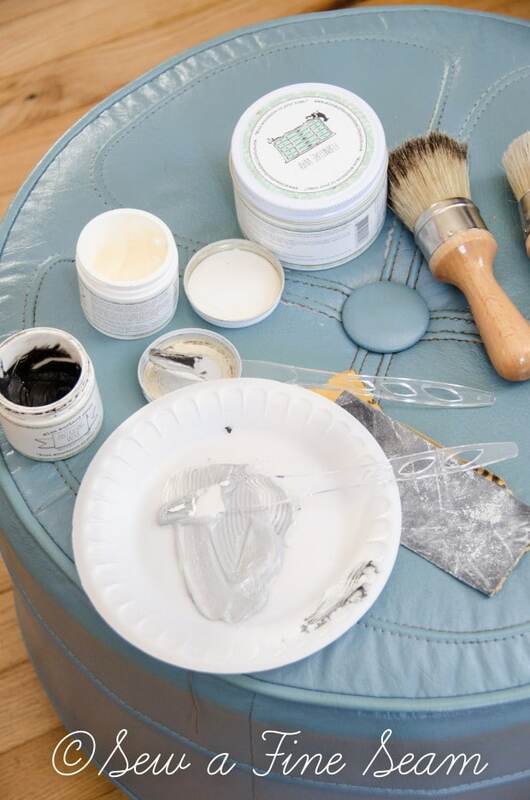 To create the grey wax start with antiquing wax and add a bit of white wax. It’s amazing how quickly it will lighten. I started with white and added WAY more dark wax than I thought I would! So I found out the hard way that it’s best to start with the dark and add some white to it. After the grey wax was dry and I had buffed it I went over the entire chair with MMSMP Furniture Wax. I love this stuff. It goes on so light and easy and buffs so much easier than any other wax I’ve ever used. And here is the finished chair. The grey wax is subtle on the caning and doesn’t show up well in the photos but it was just enough to add an extra bit of interest and character. 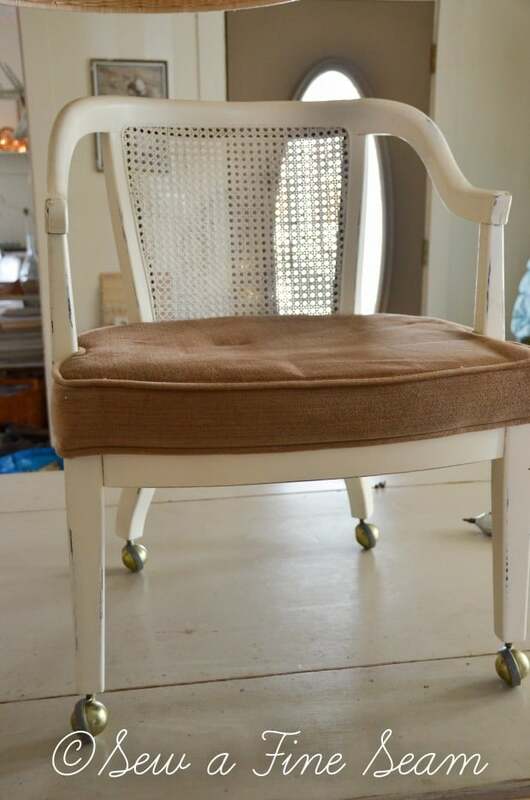 I also used silver rub and buff on the wheels of this chair to give a more vintage-y feel than the modern look of the brass. The seat looks so much better now that it has some added fluff to it and it was a lot more comfortable too. The changes were subtle but just enough – at least they must have been enough because it sold last weekend. What do you think? Do you like the changes I made? A wonderful transformation! If I lived closer I would come and get it! 🙂 Thanks so much Lynne! Thanks Loi! Now that we are into the last half of March I’m so looking forward to it soon being Spring so I can work on some outside projects too! I can see why that transformed beauty sold. After that TLC you gave her, she looked gorgeous. 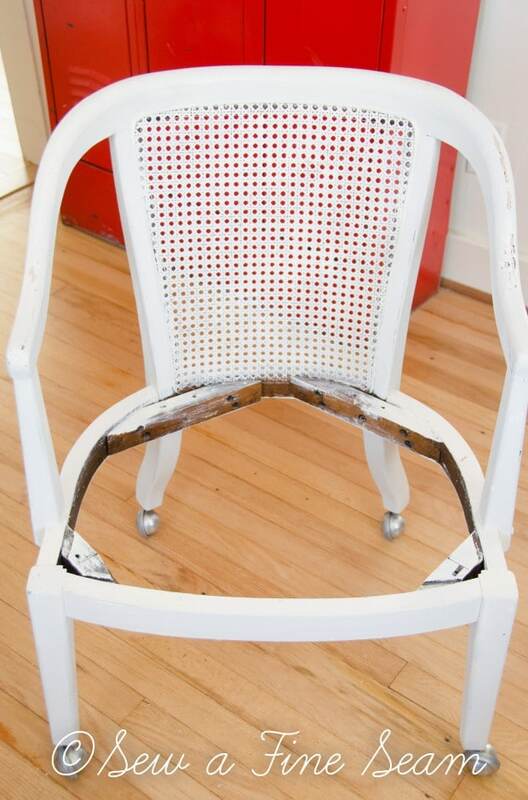 Reminds me of the $3.99 Goodwill chair I made over last year. Congratulations on your sale. Thanks Amy! It was fun to redo it the second time and like it better and even more fun to finally sell it! I don’t always sell things right away like everyone assumes! 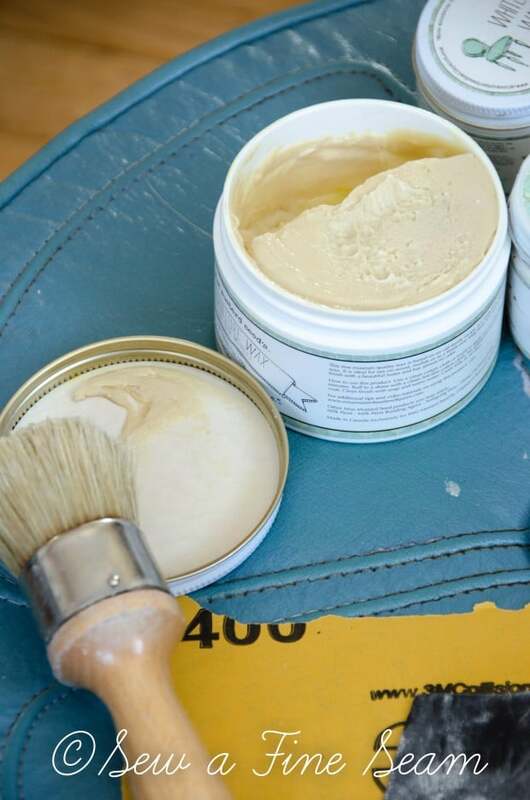 Darling.. but dearie.. what the world are you doing putting painting brushes etc on that lovely blue leather stool! For shame.. you need to sell that to me right now!! 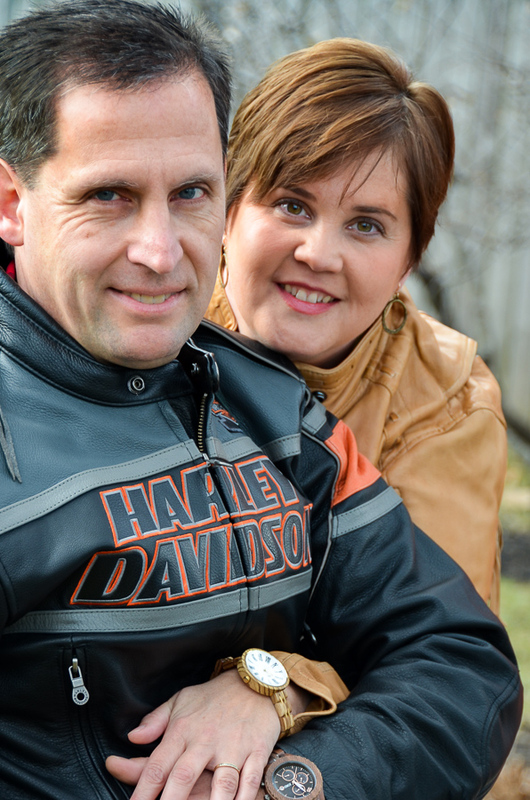 =) So glad the chair sold for you thanks for sharing your talent! 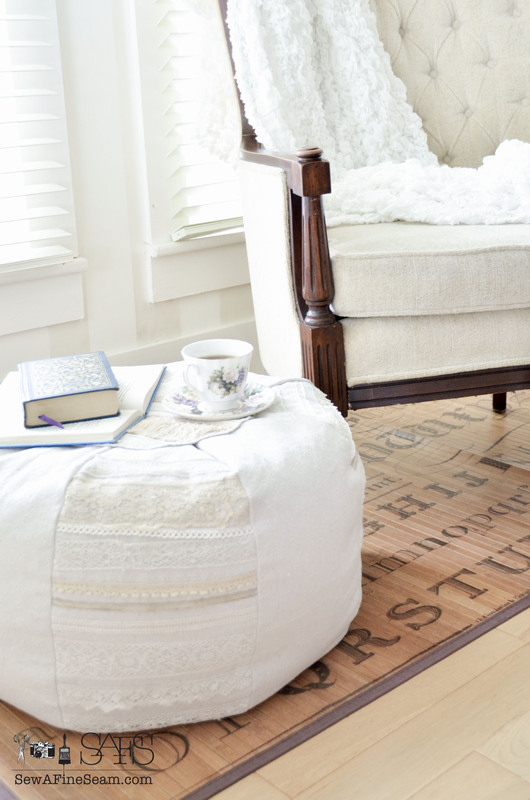 First of all – that ottoman is NOT leather. It’s a cheap vinyl imitation. Second it wasn’t near as cute when you saw the whole top – tears and cracks. 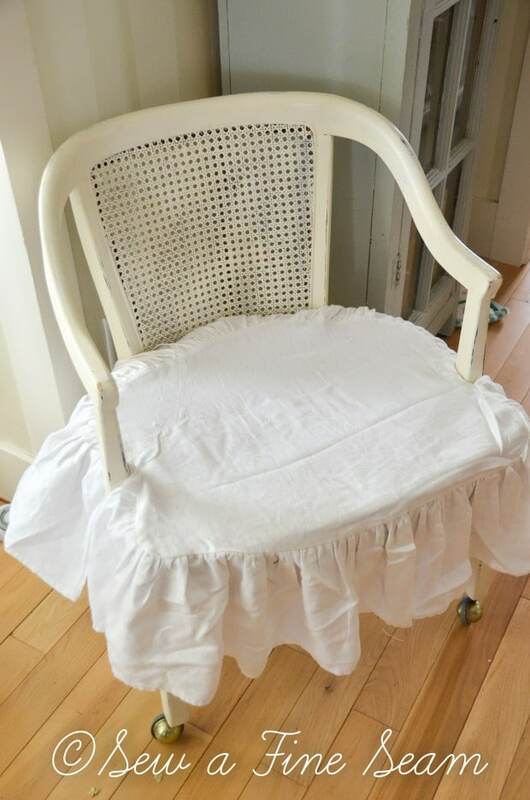 I made a white ruffly slipcover for it and it went to Pickerington.